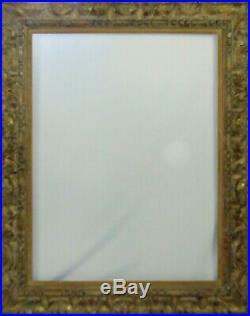 A large, and fine, hand made vintage picture frame by LOWY. 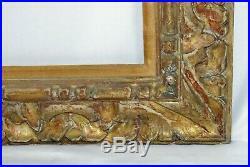 The frame is carved and gilt and is reminiscent of an Italian or Spanish Renaissance era frame. 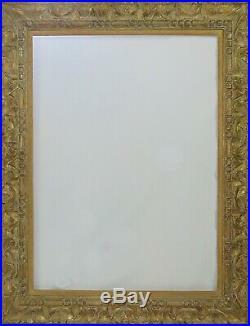 It is a beautiful and well made frame. It was custom made for a work by a renowned mid century era European artist. 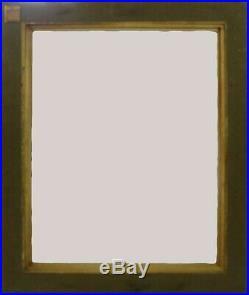 This frame will make ANY painting more attractive, and it will not pale in comparison to any work you wish to place in it. Please note that measurements are given for both WITH the liner, and without, in the event that one wishes to use the frame without a liner. Measurements: Exterior Frame: 47 5/8" x 39 1/2" x 1 3/4 Thick. Sight- with liner: 37 1/8" x 29 1/8". Sight WITHOUT LINER- 38 5/8" x 30 5/8". Rabbet WITH LINER: 38 3/8" x 30 1/8" (1/2 deep). Rabbet WITHOUT LINER: 39 3/8" x 31 3/8" (7/8 deep). The item "FINE LOWY CARVED & GILT PAINTING PICTURE FRAME VINTAGE ITALIAN RENAISSANCE STYLE" is in sale since Tuesday, March 19, 2019. 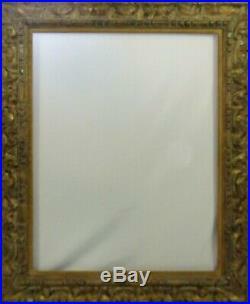 This item is in the category "Antiques\Decorative Arts\Picture Frames". The seller is "nomads_11" and is located in Vernon, New Jersey.